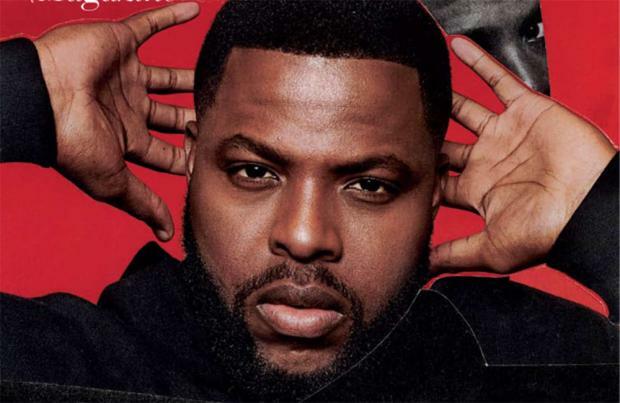 Winston Duke didn't expect his 'Black Panther' character to be "sexualised and fetishised" as much as he was. The 32-year-old actor played Jabari Tribe leader M'Baku in the 2018 acclaimed Marvel blockbuster and he has claimed with his big screen breakout role came a huge amount of objectification surrounding his body, making him a "sexual object". Winston claims it highlights double standards in society because if he were a female it "wouldn't be acceptable". Speaking to the latest issue of ES Magazine, he said: "I didn't expect to be, um, kind of sexualised and fetishised like that. I didn't want to be consumed only as a sexual object. Although it felt good, if it was done to a woman, it wouldn't be acceptable. "It was really important to me to steer the conversation towards asking why people are reacting that way. How often do they see characters like this on film? How often do they see black men represented with so much dimension and class, with a masculinity that feels authentic, yet malleable? I don't think that's represented very often, and it's really important to point that out." The 'Us' star went on to say that he doesn't adhere to traditional gender stereotypes and explained that the absence of his father growing up made him believe in "strong femininity". He said: "I didn't learn one way to be a man, and the thing that stayed constant was strong femininity. "I could appreciate strength as its own thing, not attached to gender. Being raised that way also taught me that it's OK to talk, to cry." Winston added that he doesn't find it rude when fans bark at him in the style of his 'Black Panther' character – who is at first in opposition to the Black Panther, King of Wakanda T'Challa (Chadwick Boseman). He said: "Not at all, I understand what it means to fans of the film, to be able to identify with characters in a way they never would have been able to with, say, a 'Harry Potter' film. It's cool if they want to bark at me." The full interview with Winston appears in this week's issue of ES Magazine which is available from Thursday 21 March 2019.